Greenpoint have commenced work on two further projects for Calvary at Dalton Gardens, Ryde. Renowned Aged Care and Retirement Living Provider – Japara Healthcare Ltd, have awarded Greenpoint the Stage 2 works at its Brighton-Le- Sands Aged Care facility. 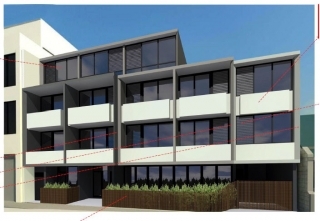 Following on from a successful Early Contactor Involvement (ECI), Greenpoint has been awarded the full Design and Construction Contract for the new UKO Co-living Boarding House in the Inner West Sydney suburb of Newtown.